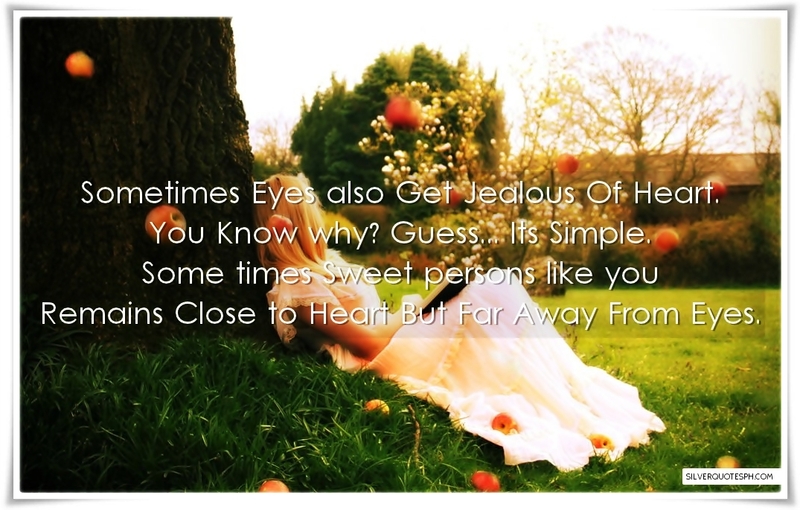 Sometimes Eyes also Get Jealous Of Heart. You Know why? Guess... Its Simple. Some times Sweet persons like you Remains Close to Heart But Far Away From Eyes.